Thank you very much for many questions about KFP Booth. 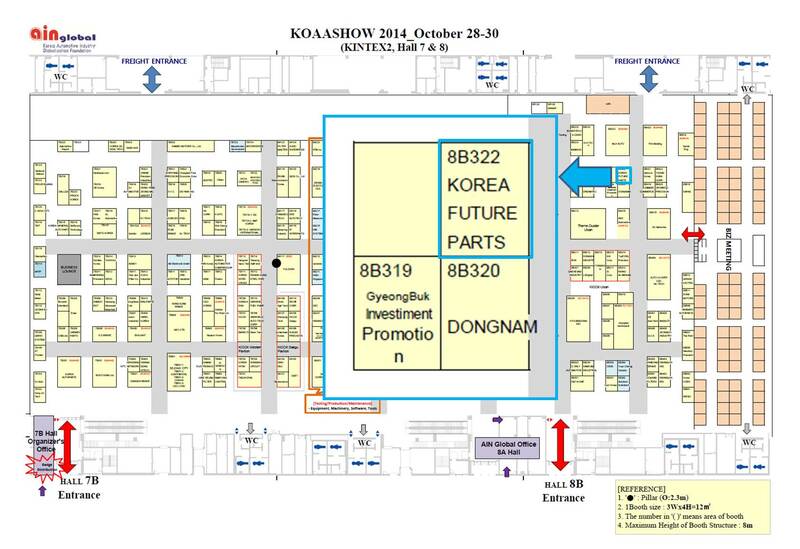 Korea Future Parts will run KFP Booth during KOAASHOW 2014 in Kintex. KFP Booth No is 8B322 and you can find easily KFP Booth in attached map. We will welcome visitors in KFP booth anytime and we will release Futureplus+ prducts. Futureplus+ products are Battery & Lubricant & Grease & Oil Seal and its line-up will be expanded more. If you are interested in Futureplus+ distribution, please visit KFP booth for discussion. Here we attached ticket information for helping your visiting in KOAASHOW 2014.